I can totally understand why this little guy was having trouble getting out of the pool. I'm just a diminutive, 9 1/2 pound Papillon. 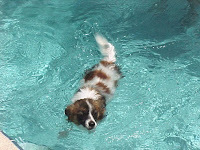 When I learned to swim, my first lessons were right by the shallow step. Mom wanted me to know where to go to get out. Now, whenever she takes me swimming, she makes sure I practice swimming to the shallow step from a different place in the pool. My mom; she's a good water safety instructor. If you guys have a pup that likes to swim, be sure he knows where the steps are. Practice, practice, practice. 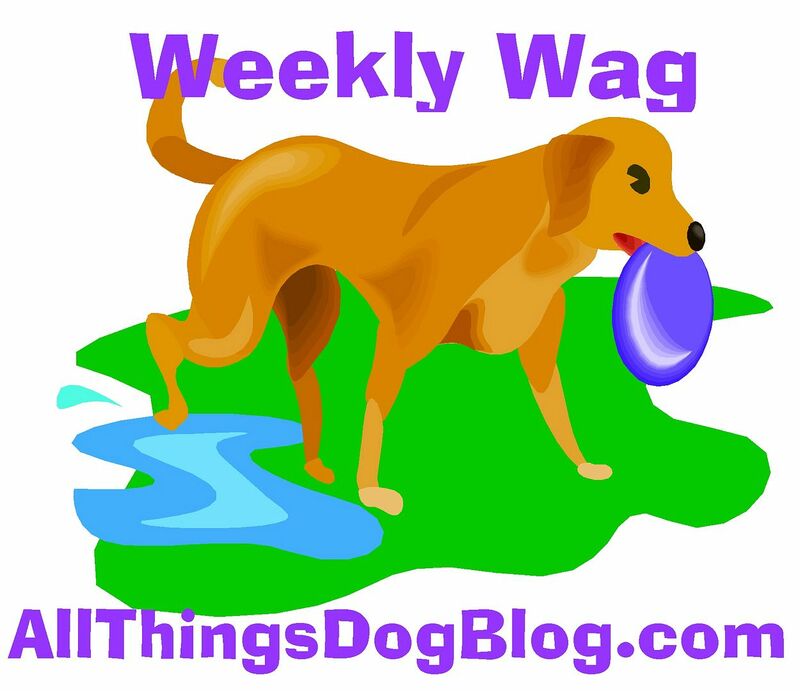 Mom blogged about my swimming lessons over at All Things Dog Blog. There are lots of cool pictures of me, Dad and Tanner. It's called Swimming Isn't Just for Lab Lovers. Go see! It's a good thing. I don't think I would want Tanner to pull me out like the dog in the video. Well, maybe I do. Whatever it takes; don't let me drown guys. Thanks.